A two-sport athlete and aspiring nurse, junior Brigid Murray is one of the newest members of the Scituation’s staff for 2017-18. Murray is truly a dynamo, working jobs at both Atlantic’s Bagels in Cohasset and Morning Glories Bakery in Scituate in addition to being on the Cross-Country and Girls Tennis teams. Despite all this, she still finds time to hang out with friends and spend time at the beach, which is one of her favorite hobbies. An excellent writer, Brigid is certainly no stranger to being in the newspaper, as a story she wrote was published on the Scituation’s website when she was still just a freshman. In her free time outside of school, Brigid enjoys eating Mexican food, particularly at Chipotle, her favorite restaurant. She also enjoys watching Netflix, and in particular her favorite show Grey’s Anatomy, which has inspired her to pursue a career in nursing after high school. 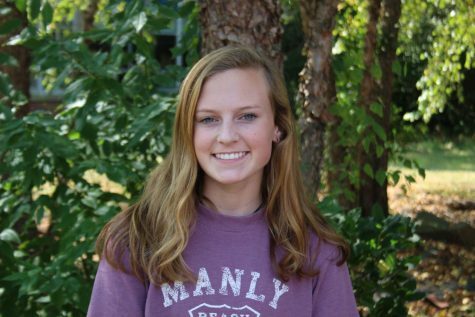 One thing that will help in this career aspiration is her charitable disposition and kind heart, which led her to sacrifice a week of her summer to help build houses in areas of the Appalachian Mountains that have been ravaged by poverty. Murray says that writing is her favorite subject, and after just one day already says she considers Journalism to be her favorite class, leaving no doubt that she will be right at home on the staff of the Scituation.